Palm's CES 2010 press conference didn't offer nearly as much fanfare as last year's event, where the company unveiled the Palm Pre. But Palm did announce new phones, a software update, and new partnerships, proving that this once-struggling handset company is not just a one-trick pony. 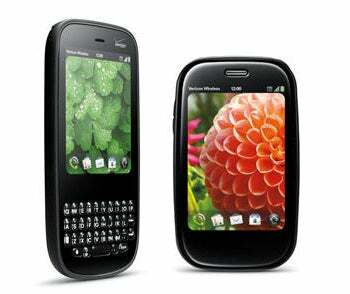 The biggest announcement at today's event was one that has been rumored for weeks: Palm confirmed that it is launching updated versions of its two webOS phones. The new phones, the Palm Pre Plus and the Pixi Plus, have not been redesigned in any major way, but both received vital updates. Both handsets will be available exclusively from Verizon Wireless on January 25. Pricing has not been announced, but considering that the Pre and Pixi are currently available on Sprint for $150 and $100, respectively, I expect the Pre Plus will cost a little less than $200 and the Pixi Plus will be close to $100. The Pre Plus looks almost identical to its predecessor, except for one subtle difference: the hardware button for closing applications has been removed. Palm didn't give a reason beyond saying that the change gave the Pre Plus a more refined and elegant look. I predict closing apps on the Palm Pre Plus will work similarly to the Pixi; you simply tap the gesture bar and the app closes. Another design tweak: the Pre Plus comes with an inductive back battery cover so you can use the phone with the Touchstone charger out-of-the-box. 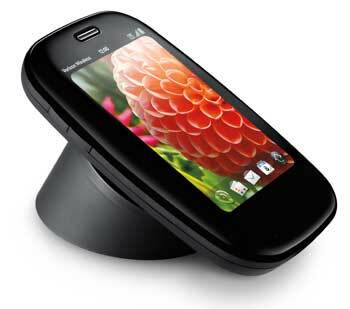 The first Palm Pre requires that you swap out the standard cover for the inductive model first. The Pre Plus will have 16GB of internal memory; that's double the memory of the original. This is an important update, as more and more apps become available for webOS; 8GB is simply not enough. It will also speed up performance of the phone and allow users to fully take advantage of all of the new goodies in the upcoming software update. 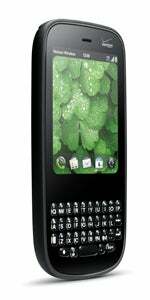 According to Palm, the Pixi is the slimmest full-QWERTY keyboard phone out there. But somehow, the Palm Pixi Plus is even smaller. (We'll follow up with measurement details as they become available.) Pixi owners can also customize their phone to their liking with a new slew of stylish back covers. Palm didn't announce pricing for these back covers, but the series that debuted alongside the Pixi were $50 a pop. And as the blogosphere predicted, the Pixi Plus will also come with Wi-Fi connectivity. This update fits in nicely with Palm's other big announcement: 3G Mobile Hotspot. Customers will be to use their Pre Plus or Pixi Plus as a 3G Mobile Hotspot, to which they can connect up to five Wi-Fi enabled devices. Palm also announced that video recording is coming -- at last -- to the Pre and Pixi. Sure, Palm is a little late to the game with this update, but unlike Apple's iPhone 3GS announcement, this one doesn't require customers to buy new hardware to get this feature. A few months ago, Adobe announced they were bringing full Adobe Flash 10.1 to a variety of mobile platforms, including webOS. Pre (but not Pixi, for some reason) customers will soon be able to download an Adobe Flash 10.1 beta plug-in from the App Catalog to watch Flash content like movie trailers from Yahoo! Trailers. Palm demoed the Avatar trailer at the press conference and it looked quite impressive. In February, all webOS customers will receive an over-the-air update that will bring these features as well as some software tweaks and battery life improvements. Palm had a slew of announcements for app developers, including news that it is finally opening up its software developer kit (SDK) to the public community. Since its launch, the webOS App Catalog has been steadily-but slowly-growing. With the SDK now public, Palm says that the webOS App Catalog will flourish this year. One of biggest advancement for webOS developers is the availability of the webOS plug-in development kit for 3D gaming. A variety of 3D games are available today in the catalog, including EA's popular Need for Speed and Sims 3 games. webOS was severely lacking in the games space, so these new partnerships and opportunities for developers should be a boon for the platform. The games integrate nicely with webOS, too. For example, if you're playing a game and get a text message, the message will show up on your notifications dashboard without interrupting gameplay. None of these announcements were exactly surprises, but it is good to see Palm keeping in stride with the competition. The open SDK kit, availability on another carrier, and fresh hardware will keep them relevant into 2010. I was hoping for completely new hardware though, but perhaps I will still get my wish: AT&T announced yesterday that it will have two new webOS devices in 2010. Stay tuned for hands-on reviews and in depth looks at the new hardware and software. Palm’s sprightly Pixi Plus gets a speed boost with Wi-Fi connectivity and Verizon’s fast 3G network.